It’s the day after Thanksgiving, and I find myself thinking about a Swedish man who died in 1961. 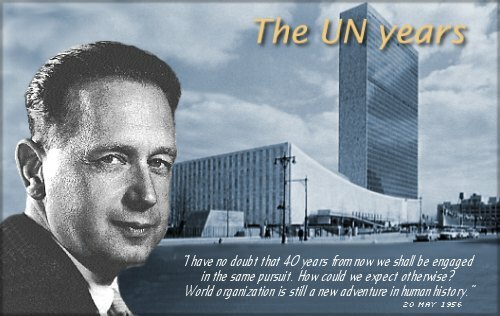 Dag Hammarskjold – secretary general of the UN – was a master of linguistics, literature, and history and also, math. He was the secretary of the bank of Sweden. He became the minister of foreign policy, and pushed forth an agenda of economic cooperation between nations. He loved art and poetry. He won the race for UN secretary general by a wide margin. He avoided aligning himself with any one political party and put a meditation room in the UN, so that people would have somewhere to just think, and breath, and find some peace of mind before taking actions that would affect the course of civilization and the trajectory of all humankind. He was on his way to personally try to negotiate the peaceful end to a conflict in Africa when his plane was (probably) shot down. Because he tried so hard to make the world right – not one country nor one hemisphere, but the whole goshdarn thing – his death rocked the world. The second world war was dead and buried, but communism was on the rise and everyone was rushing to take sides. First world…second world… where did you stand? And with whom? The world was on the brink of fracturing badly again, and would do so without the aid of the man who successfully negotiated with the Koreans for the release of American soldiers and tried to keep the peace during the Suez canal crisis. What would happen – who would handle those delicate negotiations – now? Shortly after Hammarskjold’s death, President Kennedy said in a public address, “The problem is not the death of one man–the problem is the life of this organization. It will either grow to meet the challenges of our age, or it will be gone with the wind, without influence, without force, without respect. Were we to let it die, to enfeeble its vigor, to cripple its powers, we would condemn our future. “For in the development of this organization rests the only true alternative to war–and war appeals no longer as a rational alternative. Unconditional war can no longer lead to unconditional victory. It can no longer serve to settle disputes. It can no longer concern the great powers alone. For a nuclear disaster, spread by wind and water and fear, could well engulf the great and the small, the rich and the poor, the committed and the uncommitted alike. 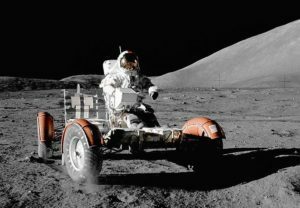 Mankind must put an end to war–or war will put an end to mankind.” In the wake of one peacemaker’s loss, Kennedy point out that we had to get along – to find peace within ourselves and between ourselves. Whatever you have to do to find peace in this world, as long as it hurts no one, please do it. If you have anything left over, please help someone else find their peace. If we dedicate our lives to that, I don’t see how we can go wrong. If we dedicate ourselves to that, we may discover how to make this world a place where victory is achieved without violence. Today I called my Senators Claire McCaskill and Roy Blunt, and asked them to please support the appointment of peacemakers, scholars, diplomats, and other learned and experienced individuals to posts in the government, and to publicly oppose the appointments of people who know not how to achieve victory without violence of some kind. Please understand: People were cowering in their homes when Sputnik passed overhead. America was a simmering combination of angry and petrified that we had been beaten, and continued to be beaten everyday, on that front. On the eve of Hammarskjold’s death, Kennedy seized the opportunity to be graceful, and also, to make it clear: space may be a race, but it MUST be a respectful, peaceful one. This world of ours, where wars begins, must be the place where it ends.